“Belarus has a big potential to develop closer cooperation with the EU and we have a lot of common interests, especially in the field of security,” vice president Paulo Rangel said. The European People’s Party (EPP) Group in the European Parliament has undertaken a review of the human rights situation in Belarus. The group’s vice president, Paulo Rangel, concluded a two-day visit to Minsk. Rangel met with members of the centre-right opposition: the EPP observer members the United Civic Party (UCP) with its leader Anatoly Lebedko and the Belarusian Christian Democracy Party (BCD) with its leader Vital Rymasheuski. He also assessed the application of the Movement for Freedom Party (MFF), chaired by Yuri Hubarevich. 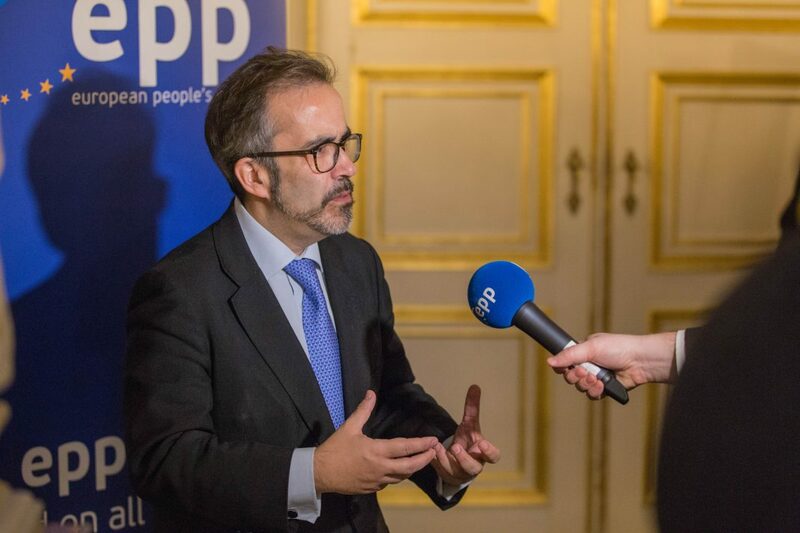 According to an EPP press release, Rangel met with civil society representatives, evaluated the political situation ahead of the local elections in February.